Easy on, easy off, without using any tools. Take your gear with you - it even stands upright on its own. 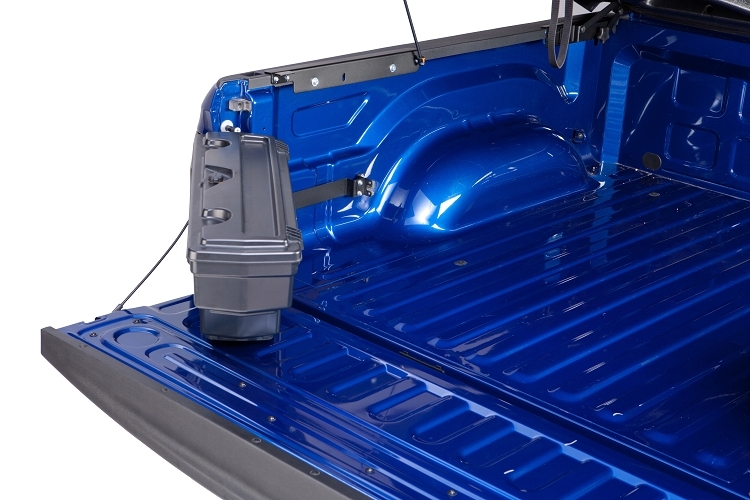 The secure, versatile TWIST-LOCK allows you to open your SwingCase with or without a key. 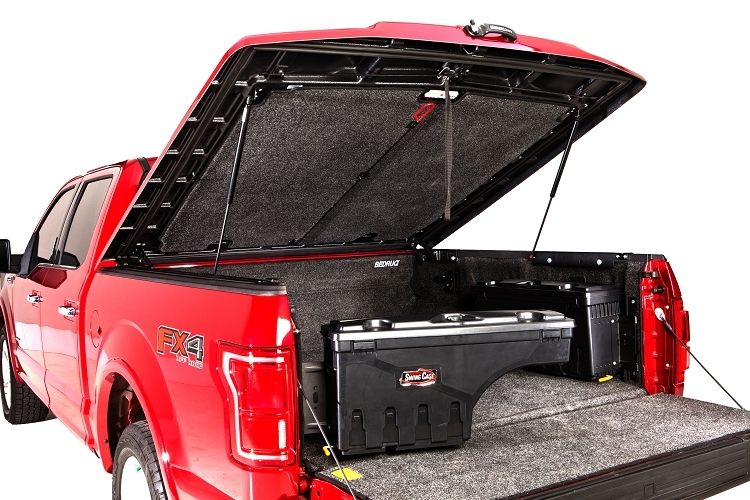 The SwingCase allows full use of the truck bed, and swings your gear right out to you. 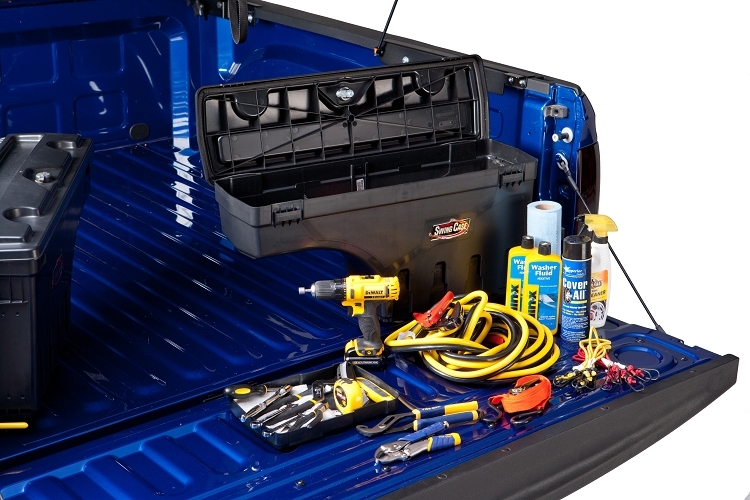 Provides easy access from the back of the tailgate... No reaching!